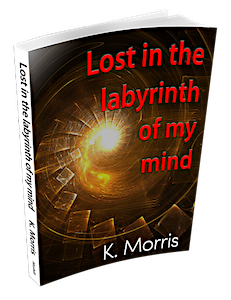 Kevin Morris’s poetry collection: Lost in the Labyrith of my Mind is now available in print. Kevin was recently a wonderful guest writer on Ink and Quill. Lost in the Labyrinth of my Mind – http://moyhill.com/lost/. Also for Kindle on Amazon and receiving fantastic reviews. I am pleased to announce that my collection of poetry, “Lost in the Labyrinth of My Mind” is now available in print. To read reviews of “Lost” or to purchase my book please visit the following link http://moyhill.com/lost/. “Lost” is also available as a Kindle download and can be found here, http://www.amazon.co.uk/dp/B01AF5EPVY/ref=cm_sw_r_tw_dp_S9p7wb0FBTR8W. reading it, but surely there must be an expiry date for such great writing; one day I am sure to find a book by K. Morris that I do not enjoy. Well, frankly, that day is not today. Thanks Jen! Its a wonderful feeling to hold a book in your hands and know it is, so to speak an integral part of you, as it contains thoughts, emotions and so much more. Kevin, I can only imagine the feeling. Must be an overwhelming moment. Such an accomplishment. I know it’s a dream for many. I can’t wait for the day I can hold my own book in my hands.